Safety/Quality Approvals: Excellent product quality: We have already got the ISO9001 International Quality System Management Verification. Also, our products have passed the detection and got the approval of CNAS (China National Accreditation Service for Conformity Assessment). Product Description: 1.PE Bottle (70.53*29.68mm) 2.PP round cap (22.06*20mm) 3.The bottle has been filled with 40ml liquid. We are committed to producing environmental-friendly products. 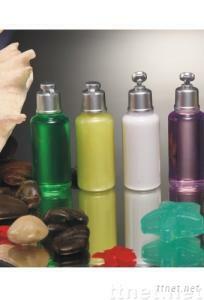 Our bottles are made of HDPE or PET, which are the same material of pure water bottles. They are not harmful to human body and conform to Fair Packaging and Labeling Act of the United States. The quality of our cosmetics including shampoo, bath foam, conditioner and body lotion, is strictly conformed to the Federal Food, Drug and Cosmetics Act.